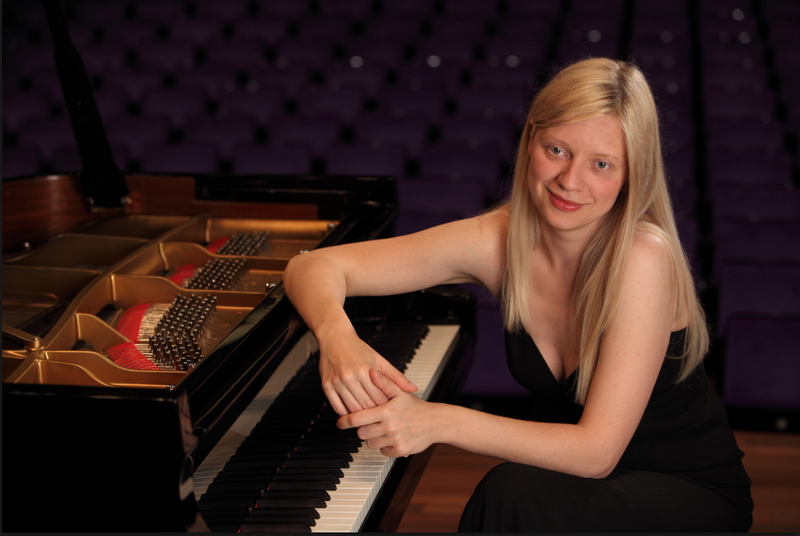 Born in Kiev of Russian and Polish parents, Valentina Lisitsa, 44 has lived in Europe and the U.S. pursuing her concert career, which has included appearances in the leading venues of the world. 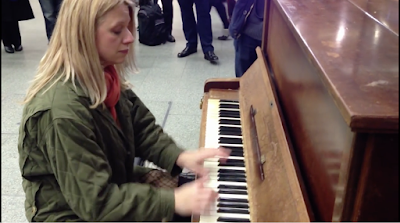 If you haven’t heard of her she can be found all over You Tube and that’s where we found this wonderful posting of her impromptu concert at London’s St. Pancras train station’s public piano. Of course, she’s showing off a bit because this professional is playing Franz Liszt’s most difficult “Rondo Fantastique, El Contrabandista,” a piece composed when the composer was a young man and played his piano to the fullest as the percussion instrument that it is. The public piano at St. Pancreas train station in London (the one at the Brit end of the tunnel to Europe) is one of two available. Locals will tell you there have been some remarkable musical serendipities performed at the station. 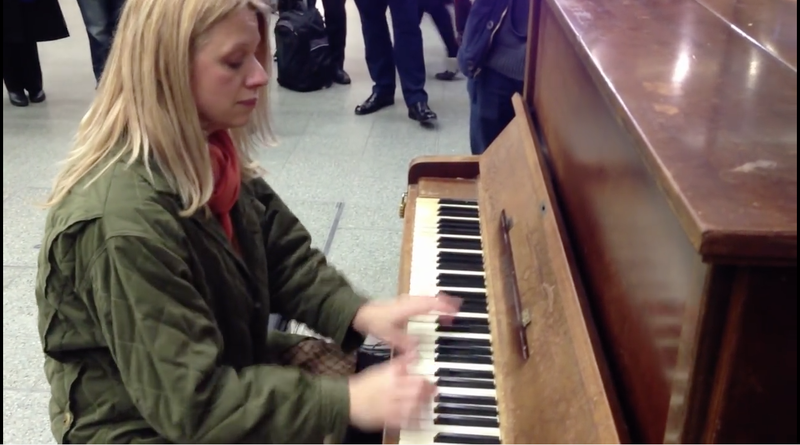 On March 12, 2013, Valentina Lisitsa played Liszt, Chopin, Beethoven and Rachmaninov while waiting for her train. Click here. albeit unscheduled series of concert performers--much to the delight of the public. For example, members of a ballet troupe from Sydney.